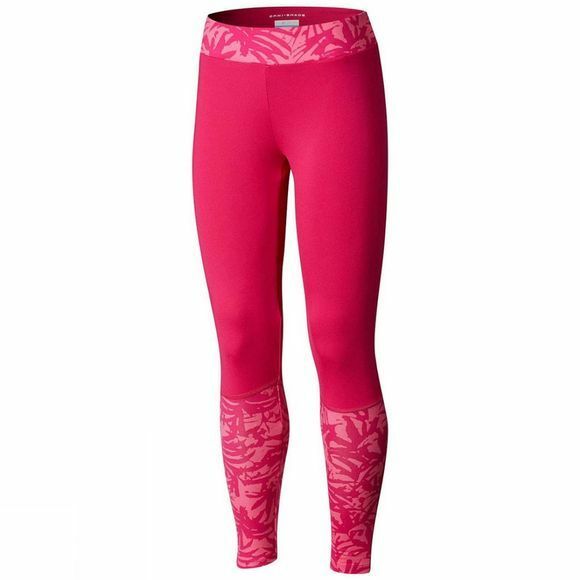 Those Columbia leggings come with solid color and a matching print so your girl have more fun in the outdoors. The comfortable 4-way stretch material includes both a special wicking fabric to quickly draw sweat and moisture away from your body as well as a built-in UPF 50 sun protection. With elastic waistband.